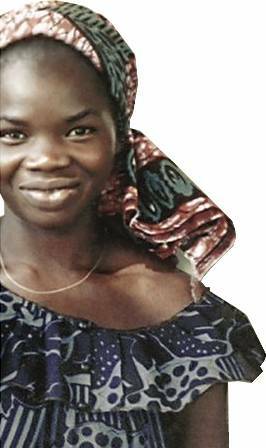 Author Kris Holloway recounts the story of the life and death of a remarkable West African midwife as seen through the eyes of a young Peace Corps Volunteer. A night of rememberance from women who have served in the war and shared their true to life experiences. 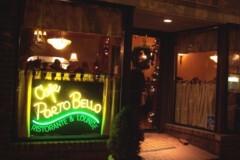 The Cafe Porto Bello hosted this food and wine extravaganza to benefit the Women at Work Museum. Monique and the Mango Rains is the true story of the life and death of a remarkable West African midwife, seen through the eyes of a young Peace Corps Volunteer who worked side-by- side with her, birthing babies and caring for mothers, in a remote, impoverished village. It is a rare tale of friendship that reaches beyond borders to vividly and irrevocably unite another woman’s world with our own. Kris Holloway recounted her story and most importantly, Monique’s story, of life in Mali and the friendship that grew from these two women who seemingly had nothing in common but found their lives forever entwined. Your definition of sisterhood will never be the same! A book signing followed the presentation. This program came to our area thanks to the generosity of our local Cultural Councils and was free of charge. This program was supported in part by grants from the Attleboro, Plainville and Norton Cultural Councils, local agencies which are supported by the Massachusetts Cultural Council, a state agency. Click here to see video of this event! 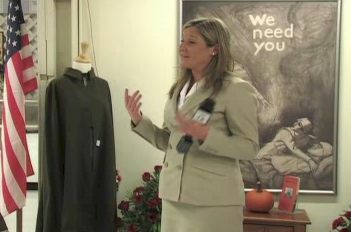 As part of Attleboro's 1 ABC initiative, the Museum hosted a night of rememberances from women who have served in the war. This discussion included several women who served in the war shared their true to life experiences with "The Things They Carried" and their transition to civilian life. The event was open to the public. Attleboro’s 1 Adventure, 1 Book, 1 Community encourages Attleboro's citizens to unite together and pursue community-building through the shared experience of reading the book "The Things They Carried" by Tim O'Brien . The Greater Attleboro Women of Today hosted the 2nd annual Wine & Food Pairing event to benefit the Women at Work Museum at the Cafe Porto Bello Restaurant in center of North Attleboro. On the menu that evening was a delectable array of culinary delights paired with delicious wines from Blackstone Winery. With restaurant owner, Paula Catalano keeping a careful eye on the proceedings, generous portions of food and wine were presented amid a relaxed atmosphere of fun and enjoyment leaving little doubt that this was going to be a truly satisfying evening! Wine expert, Joan Murphy Bowie from MS Walker Fine Wine and Spirits shared her expertise and provided information about evening's wine pairings as each new course was presented. Her upbeat personality and deep knowledge of wines was a refreshing addition to the evening's activities. L'antipasto - The Scallops wrapped in bacon were paired with Blackstone Savignon Blanc. This wine was clean and fresh with excellent texture, acidity, and length and balanced nicely with the scallops that were "melt in your mouth" delicious. A great start to the evening! Il contorno - Delicious rustic Italian lentil soup was presented with the Blackstone California Merlot. The earthy flavors of the lentil soup complemented the rich fruit aromas, supple oak characteristics and soft tannins of this noble vintage. Il primo - Gnocchi in marinara sauce was matched with the California Pinot Noir. The Pinot's delicate black cherry aromas, accented with delicious plum, raspberry and vanilla was the perfect marriage to the skillfully prepared gnocchi in a "to-die-for" marinara sauce. Molto bene! Il secondo - The Italian sweet sausages with vinager peppers and pototoes dish was paired with the Blackstone Riesling. This slightly dry wine, with flavors of apricot and pear presented a nice counterpoint to this rich and robust main course. Bravo! Il dolce - Luscious lemon tart was married perfectly with the Mionetto Prosecco. This frizzante (slightly bubbly) wine was full of ripe pear dashed with floral overtones. Matched with the tangy lemon tart, it was a delicious ending to to wonderful night! Later on in the evening, there was a raffle and several wonderful gift baskets were given out to the lucky winners, adding to the excitement and festiveness of the occasion. The quality of the food and wine was exceeded only by the the outpouring of warmth and support from our congenial hosts, Paula Catalano, owner of the Cafe PortoBello, Louise Orum, Faye Ballou and Judy Romero representing the Greater Attleboro Women of Today and Joan Murphy Bowie, wine expert from MS Walker Fine Wine and Spirits! It was an evening well spent to support a great cause, the Women at Work Museum!